This post is sponsored by adultvideoblaster.com A Powerful Video Marketing Tool to Increase your Earnings. The commission of investigation assures that the compartments of the ship built in the Spanish shipyard were not watertight. 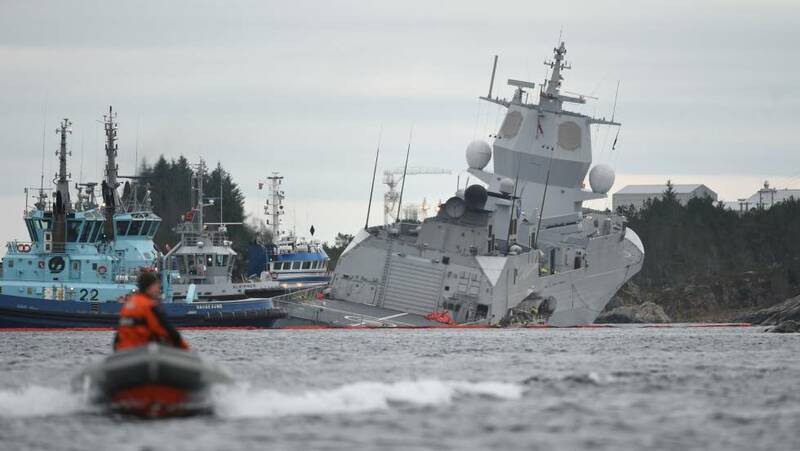 The Norwegian investigation blames Navantia for the collapse of the frigate KNM Helge Ingstad (F-313) after colliding with an oil tanker on November 8. The Commission of Investigation of Transport Accidents claims to have detected a “critical” failure in the design of the ship, delivered by the Spanish shipyard in 2009. Navantia, on the other hand, affirms that it has not received official communication of the report nor has been able to participate in the investigation. Naval military experts question the Norwegian version and stress that the accident was due to negligence. The preliminary report of the commission assures that the failure would be related to the “estanqueidad” of the Helge Ingstad , and could be repeated in the five frigates built in the first decade of this century by Navantia for the Norwegian Navy by about 1,050 million euros. The commission maintains that the ruling “is not in conformity with the standard of stability against damage required” and assumes that “this also affects the other four frigates of the Nansen class”, of 5,300 tons and 143 meters of length. The watertightness of the compartments guarantees that, in case of opening a waterway, it does not flood the rest of the ship, causing its collapse. According to an annex to the preliminary report, the flood affected three compartments (the quarter of aft generators, the cabins of the crew on deck and the warehouses). Initially, the crew believed that the ship could stay afloat, but when warning that the water fell from the generator room to the gear unit through the hollow of the propellers and that it was quickly flooded, he opted for the evacuation. More cautious was the Norwegian Navy chief, Admiral Nils Andreas Stensones, who considered it “premature” to draw conclusions about the causes of the incident. The accident, in which eight of the 136 crew members of the frigate were slightly injured, occurred at dawn on the 8th, on the west coast of Norway, north of the city of Bergen, when the ship returned to its base. after having participated in the NATO Trident Juncture exercise .Although the circumstances of the wreck have not been clarified, the sources consulted by EL PAÍS explain that the frigate and the tanker, who found themselves facing the interior of the fjord, exchanged messages before colliding. The captain of the tanker told the frigate to fall to starboard (right), but he refused to claim the proximity of the coast (900 meters). The two ships maintained their course without altering it and, at the last moment, the frigate fell to port (left), which precipitated the shock. The frigate also went at high speed (17.5 knots) and with the AIS (Automatic Identification System) turned off, despite navigating in restricted waters. 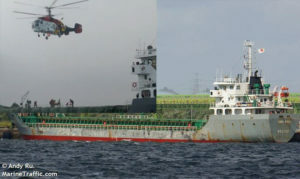 It is, according to the sources consulted, of serious negligence in the maneuvering of the ship. The frigate sank a week after the collision, failing all attempts to keep it afloat. The announcement of the commission of investigation was received with stupor by Navantia. “We have no official communication of the report, have not addressed us to consult the possible causes or have participated in any of the proceedings,” said a spokeswoman. “Navantia offered from the beginning to collaborate with the Norwegian Navy on whatever was required. We are going to analyze the circumstances and the hypotheses that have been made public, “he added. In any case, according to the public shipyard, “the design complies with all certifications and satisfies the sealing conditions applicable to military vessels”. Experts in naval accidents expressed surprise at the fact that the commission reached these conclusions before refloating the ship and without the advice of the manufacturer. “The axle could move as a result of the collision, which broke the tightness of the boat, but it would be an unexpected problem, not design,” they explain. The violence of the collision was such that it opened two cracks in the hull of the frigate, one of them of around 40 meters, almost a third of the ship’s length, the maximum limit so as not to compromise its buoyancy. The sealing of the ship, add the same experts, must be checked before delivery, not only by Navantia, but by the inspectors of the Norwegian Navy itself. These frigates also have a hatch closure system to reinforce tightness when navigating in areas where there is a risk of collision.